Trek-Segafredo's Ellen van Dijk has taken the victory of the stage 4a of the Healthy Ageing Tour. The Dutchwoman was the fastest at the race's Individual Tiem Trial. 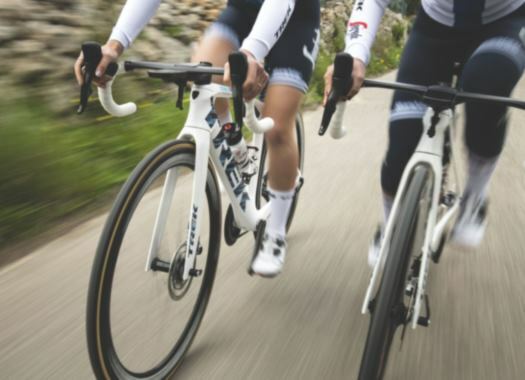 The first of the two stages that were set to take place on the penultimate day of competition was a 15-kilometre long Individual Time Trial in Winsum, The Netherlands. The weather showed to be an important factor in the race against the clock as it was not only cold but also it was snowing. Van Dijk sported her European champion colours and from the intermediate check, her victory was clear. She completed the course in 19 minutes and 30 seconds, being two seconds faster than Canyon-SRAM's Lisa Klein, who took the lead of the overall classification. "I felt pretty good, and I think it was a decent TT," Van Dijk commented. "It was the first TT on my new Trek Speed Concept, and it felt really good, so I'm happy with that. Overall, I have a happy feeling, but I'm a little disappointed to not take the lead. "I think it was a good ride. This was it for today; I just didn't expect Lisa Klein to be this strong, but it's a time trial and times never lie. I'm satisfied with my time trial, but I was hoping to get the lead in the GC with it. Lisa was just super strong, and that's outside of my control. It's a surprise to me that she did such a good time trial, but she deserves it. The gap is not too big, it's eight seconds. But the problem is I'm not a good sprinter, and she is, so it will be hard to get seconds back - but for sure we're not going to give up! There are still two stages to go."